Carriage prices start from £36 per crate inc VAT and depends on how many tiles you need. We detail the carriage rates on our quotes. Opus pattern prices shown in the Patterns tab below. 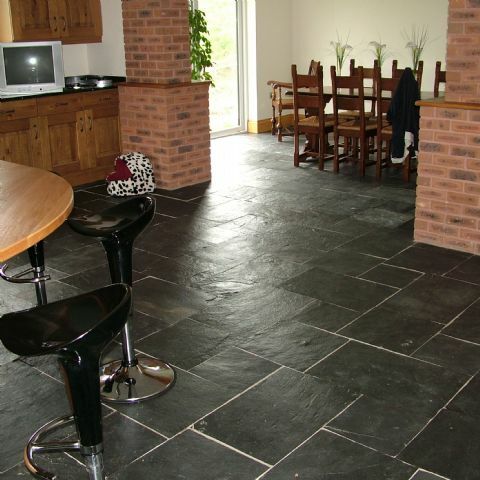 China Black Natural floor and wall Metamorphic Slate characterised by a dark slate grey colour with little shade variation and a softly riven surface. A floor tile of character and style. 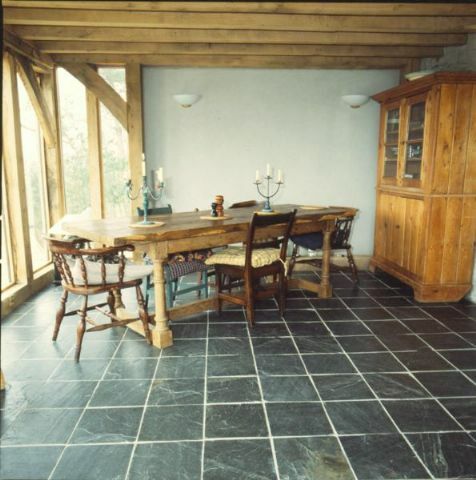 A natural floor and wall slate from Best Price Stone Ltd. Please click the Sizes and Prices link below. A small degree of delamination is to be expected after initial fixing. If fixing externally, a sand/cement bed is not sufficient and the tiles must be fixed using tile adhesive on a concrete slab. Thicknesses can vary from those stated, which are only a guide. Visit Lithofin Website for more information. *Prices/m² are approximate, except when only sold by m². All prices are inclusive of 20%VAT.